In 2005, we started to gather as much info on Nissan leopards and that included going on to Japanese homepages and looking at pictures. 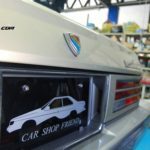 We discovered Carshop Friend, the Leopard shop, and we were amazed by the cars for sale, parts and even the Carshop Friend items. 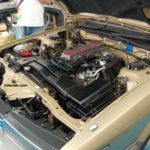 When I went to Yokohama in 2006, I was focused on RX7s (I had an FC RX7 at the time) and visited shops that was RX7 based (R Magic and RE Amemiya). After I left, I asked my friend where Carshop Friend was and he told me it was not far from his place!!! MISSED OPPORTUNITY. 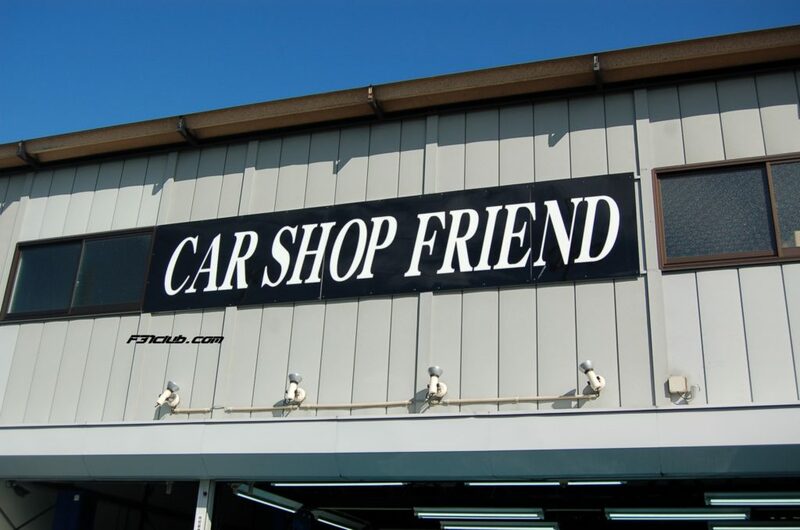 This might sound funny, but many of us held Carshop Friend in high regards and was like a place of worship!!! 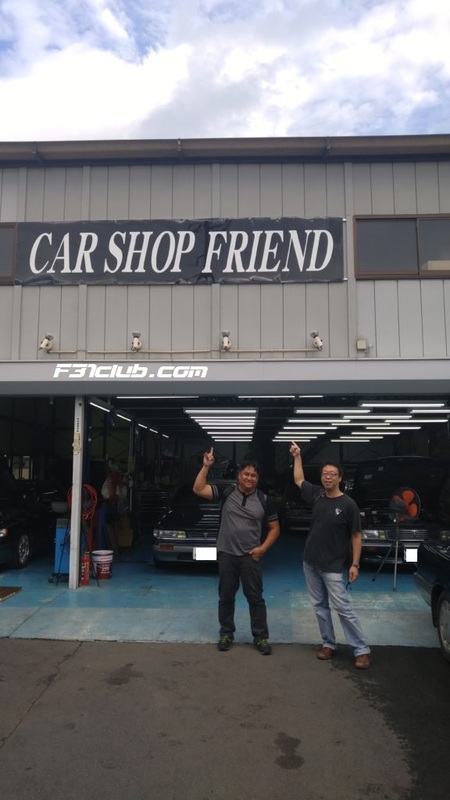 In October 2016, I made a plan to visit Carshop Friend sometime during my 2 weeks in Japan. I was already going to the 30th annual leopard meeting. Ahead of time, I was talking to Satoru and we were suppose exchange gifts at the Leopard meeting (which was on a Sunday). Satoru contacted me Friday night saying he could not go to the meeting. I mentioned I will be in Japan for 2 weeks and would be back in Tokyo towards the end of my stay. He asked my location and how long I was going to stay there. I told him I was in Tokyo until Sunday morning. I also asked Satoru to let Mr. Kanazawa (owner of Carshop Friend) know I was planning on stopping by. I wanted to meet Mr. Kanazawa and give him a heads up that a foreigner (me) would stop by sometime in the 2 weeks. 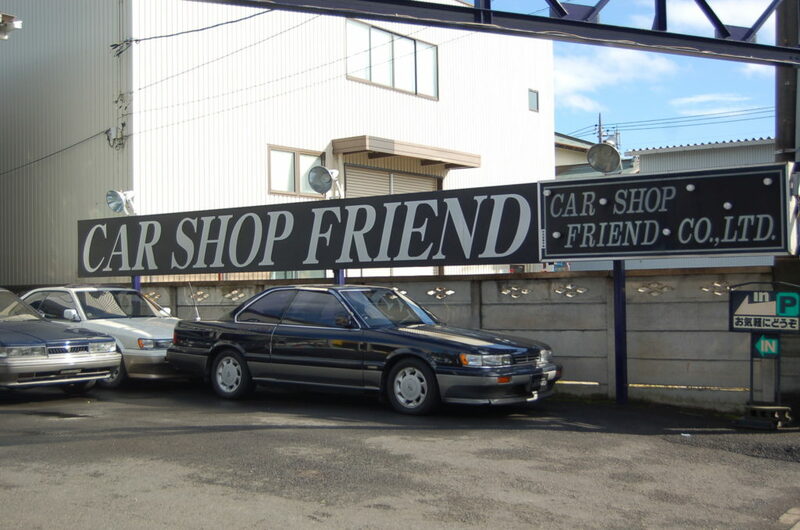 Satoru then offered to take me to Carshop Friend the next day (Saturday). He also said Mr. and Mrs. Kubo (also leopard owners) would join us! 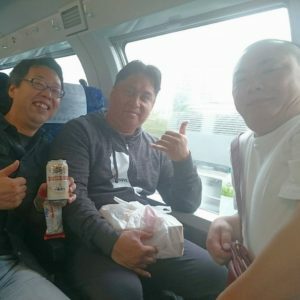 While we were on the train, we ate and drank. We talked leopards! 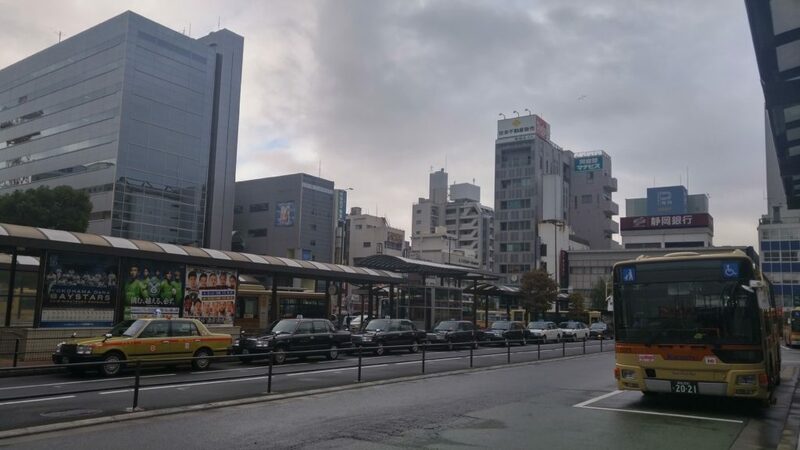 We arrived at Hiratsuka Station and had lunch (ramen). Afterwards, we went outside and waited for a bus. 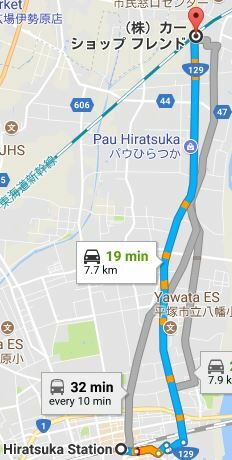 The bus ride would take us another 25 minutes (even though the map says 13 minutes). This was close to Carshop Friend, but we walked few blocks before we arrived. I reached the Leopard temple! I initially snapped pictures from far away and outside. I did not want to go in the garage and start taking pictures. I wanted to make sure it was okay. Satoru lead me to the office and Mr. Kanazawa came down! He shook my hand and gave me his business card. Mr. Kanazawa spoke only Japanese (again, Satoru was my translator). I asked if it was okay to take pictures of the leopards in the repair garage. There were a few F31s and also a Y31. He gave me the okay and I started to really look at the leopards. Since I have never seen a Zenki up close, I was very intrigued. 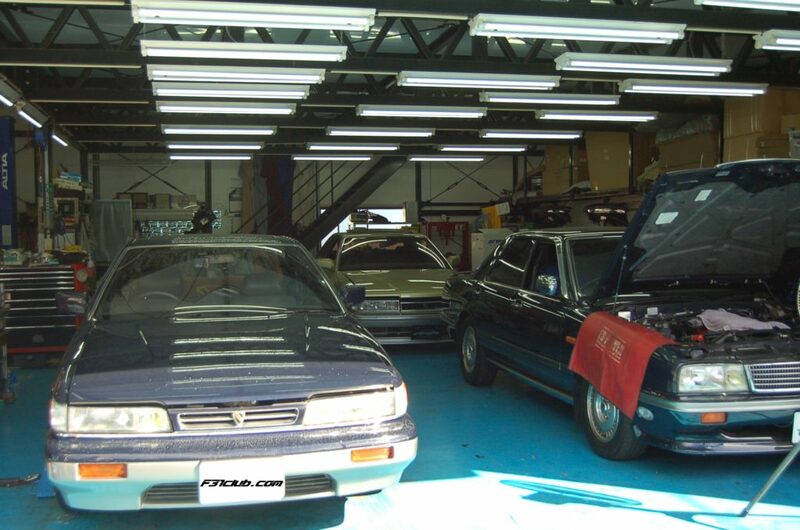 While taking pictures of the cars in the repair garage, Mr. Kanazawa said we will go to other garage with many cars. I forgot about the seeing pictures with tons of Leopards. Someone on facebook went to Carshop Friend a couple months prior and mentioned that the garage full Leopards is not the same as the pictures. He said it was EMPTY and only 8 Leopards remained in an alley (next to the storage). I’ve taken out the guy’s name to protect his identity. 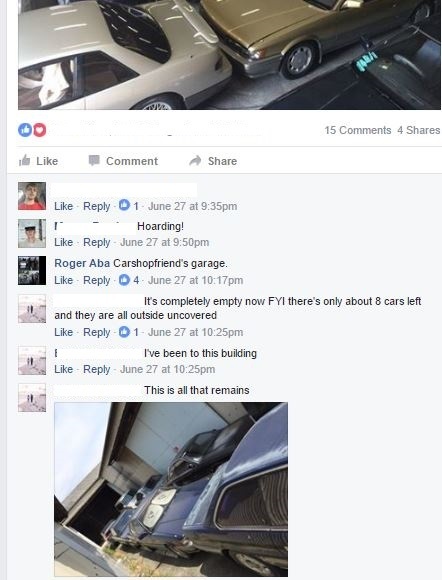 Someone saying the garage was empty and that only 8 Leopards remained. We walked a block over and came to a large storage garages. 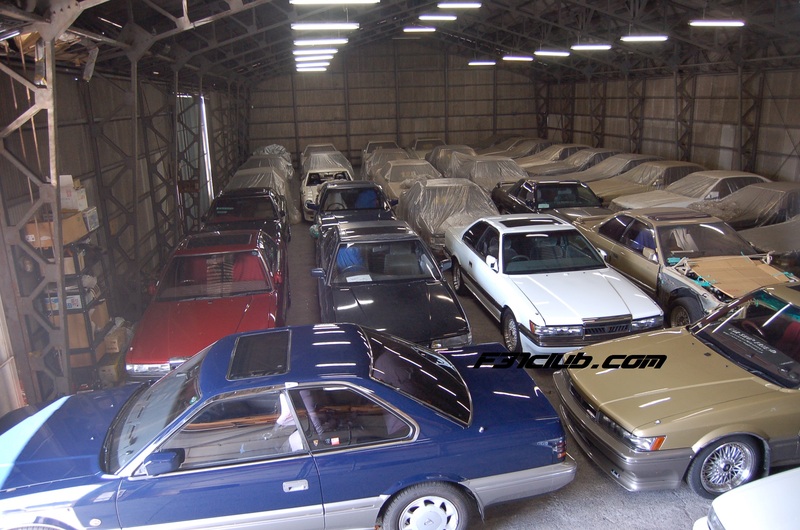 Mr. Kanazawa opened up the storage garage and my heart started racing! The infamous pictures of stored F31 Leopards was in front of me. I was blown away. 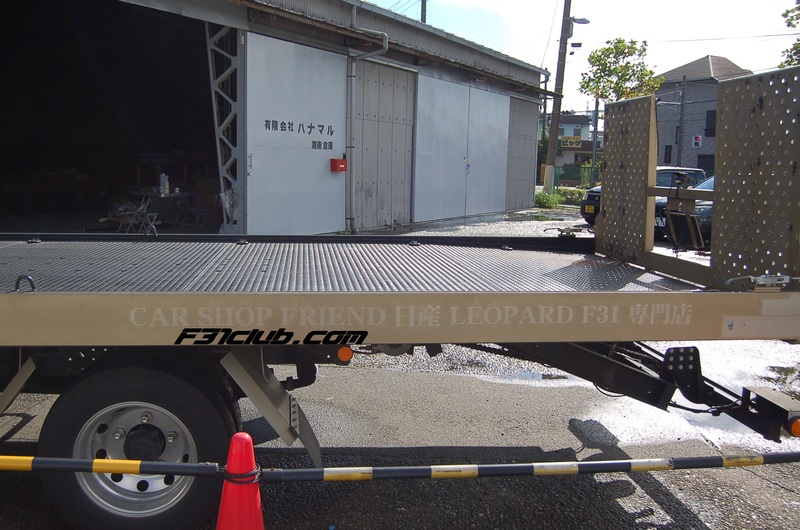 I don’t think I’ve seen so many leopards in one place… then again, I am at Carshop Friend. To get these shots, I had to climb a ladder. I asked Mr. Kanazawa if it was okay and he said yes. I was able to bring together 8 M30s in our Southern California meeting… I never thought I would see so many F31s in one place. After looking at many of the cars, we headed back over to the office. Satoru took me to the parts storage as well. There were many used and new parts. I was very impressed! 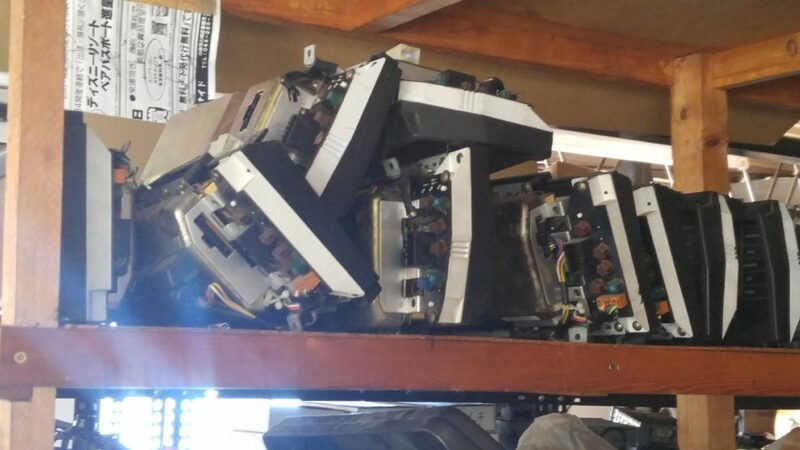 I was surprised to see many used parts. 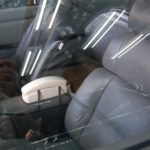 I thought that Nissan would still be carrying them, but it was confirmed to me that many Leopard parts have been discontinued. Carshop Friend is a full Leopard (and Nissan) shop. 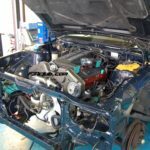 He produces parts, fixes, repairs and rebuilds Nissan Leopards. Shelf full of digital gauge clusters. 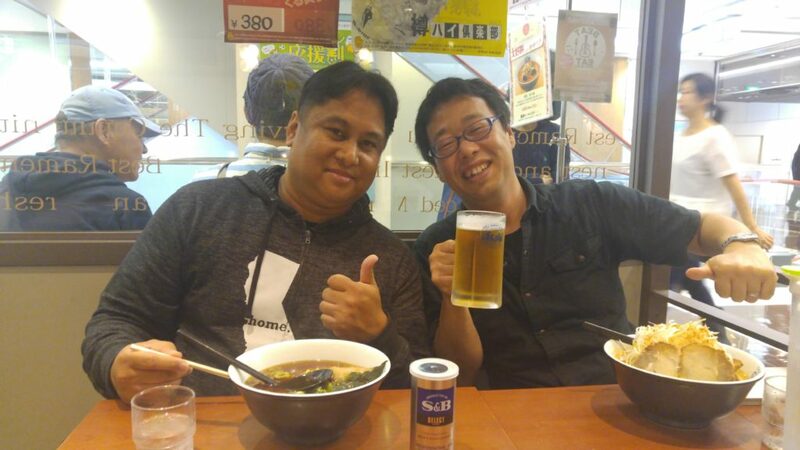 We went back to the office and Mr. Kanazawa and I (along with Satoru) had long conversations about M30s, Leopards, and even me asking some history about Carshop Friend. He offered me a coke and showed me small Carshop Friend stickers. I said I wanted to buy some. 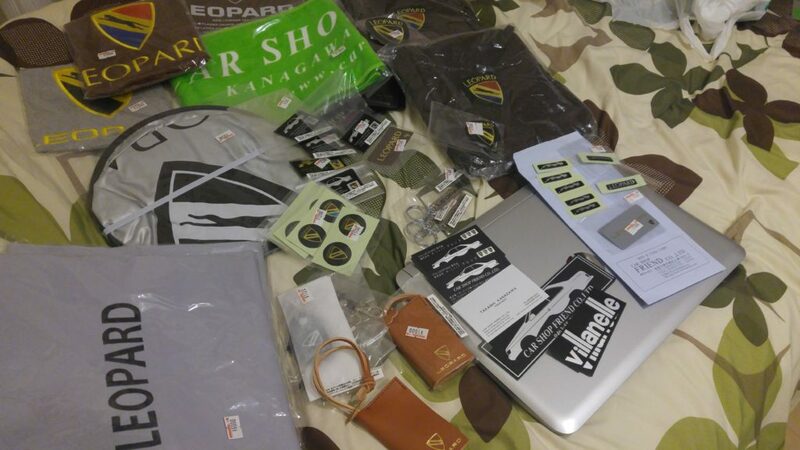 I got many small items. I believe Satoru and the Kubos thought I was crazy. Mr. Kanazawa gave me a discount and he let me in on one fact I think people don’t understand. He showed me a letter and explained that Carshop Friend pays the royalties for making Leopard items. This is something I think people in America, at least car wise, do not know. He pays Nissan to use the patent for the Leopard. We talked a bit more and we started to get ready to head home. It was awesome meeting Satoru, Mr and Mrs Kubo and Mr. Kanazawa. The journey to Carshop Friend was especially important to me as I’ve been an F31 enthusiast for 13 years and this was a MUST DO. 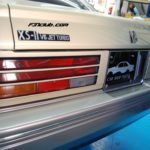 Thank you Mr. Kanazawa and Carshop Friend! Thank you Satoru, Mr and Mrs. Kubo for accompanying me to Carshop Friend. 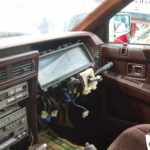 This entry was posted in Carshop Friend, history, Meetings, Owners, parts and tagged #f31club, #f31レパード, infiniti m30.